It’s time to change everything you thought you knew about audiophile speakers. 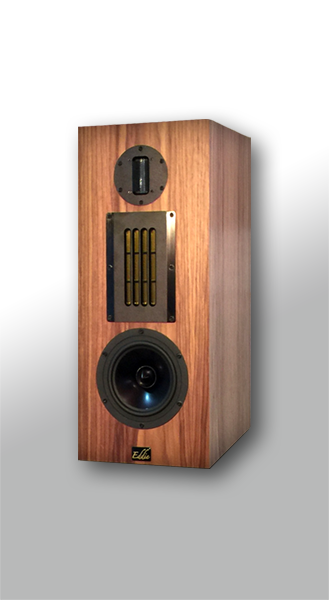 The goal has always been quite simple – to create a speaker that neither adds nor subtracts from the source material. To deliver nothing but the music. To be true, honest and real. Well, get ready for EVOKE loudspeakers. They are going to forever change everything you thought you knew about loudspeakers. You’ve heard it before – Of the desire to find the Holy Grail in a speaker that will simply disappear leaving nothing but the music. With EVOKE, we’ve come about as close to the Holy Grail as possible. With the best source materials and components, EVOKE loudspeakers will generously disappear and leave you with the music in all its glory. At the same time they are forgiving. You won’t feel like you have to abandon thousands of MP3 files. And even Pandora [in the high resolution setting] sounds amazing! A lot of this would be just bragging if it weren’t true. The Absolute Sound, for example, compared EDDIE to speakers many times in price. And that’s what is so amazing. EVOKE loudspeakers offer real value to someone who truly loves music. We can talk about EVOKE loudspeakers, all the technology, virtues and design. We can even try to describe the sound – Like dynamic range, pinpoint imaging and sound stage. It’s in the execution of art and science. The proprietary Strat F series planar puts other planars and ribbons to shame. How dare we claim that the Strat F series planar is so great? Well, the Strat F series planar uses the strongest neodymium magnets and the most rigid structure imaginable. And when you put a physicist who is a musician in charge of creating the F1 there are virtually no compromises. And confidentially, there are a few secrets that add to the mix. Like patented internal damping techniques and diaphragm tensioning processes. This results in drivers having less than a .5db difference in production. So in the end, the Strat F series planar is highly efficient, has wide dynamic range, extended frequency response, consistent quality and is virtually distortion free. Eddie also features a TruFlat ribbon tweeter to compliment the transparency and speed of the Strat F1 driver. It crosses over at the sweet spot between both drivers so that each is optimized within its given frequency range. This not only extends frequency response on the top end but also maintains continuity in dispersion. Making the ribbon even better is its reliability. Unlike other delicate ribbons with pleated diaphragms, the TruFlat features a flat ribbon. The result is driver stability for performance that lasts over time. Finding a woofer for EVOKE loudspeakers presented an even greater challenge. The driver had to be specifically designed to match the Strat F series planar. Variations were considered including size, cabinet alignment and different Thiele-Small parameters. In the end the RM series proved a match to the Strat F series planars. 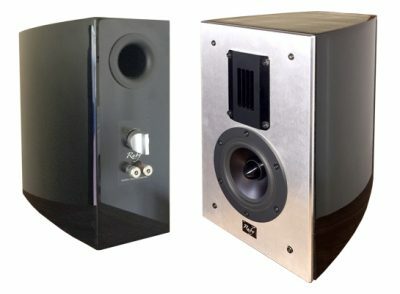 It features a low mass cone and extends the low end to the point where you may feel a subwoofer is not needed [except for home theater and very high output levels]. The heavily cast frame stabilizes extended linear cone excursion. And the phase plug breaks up the anomalies inherent to a cone driver to approach the performance of a flat planar. Time and Phase. These may be two of the most contentious words in the loudspeaker business – One reason being all the misinformation and opinions that have been propagated by consumers and speaker companies alike. Let’s consider this daunting task. Time and phase are affected by the baffle and driver placement. Each driver has its own phase components that change with frequency. Crossover components introduce their own phase and delay issues. Then imagine three drivers interacting with each other! That should give you an idea of the complexity presented by time and phase. Then add in things a loudspeaker can’t control – the position of your speakers, where you sit and the acoustics of your room. So what does EVOKE do? We takes an overall approach called T-Phase System Integration. By considering all factors together our loudspeakers achieves excellent results in both time alignment and phase coherence. The result is fast attack time for wide dynamics and coherent phase for spacial imaging. 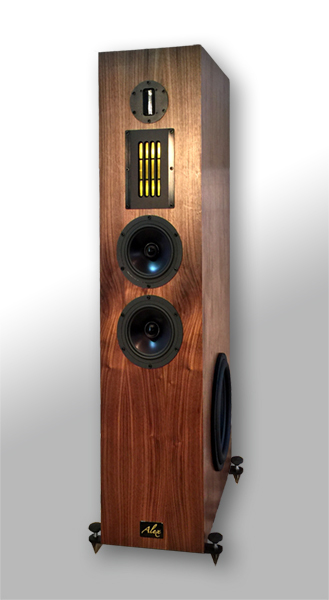 EVOKE design and engineering have brought together high performance Loudspeakers. The end result comes together to deliver a musical performance that you can hear. They have incredible dynamic range revealing the subtle harmonics of a recording as well as its dynamic crescendos. How is that possible? Most other speakers lack dynamics, are fatiguing and just sound loud – that’s because in reality you are listening to distortion. EVOKE loudspeakers sounds better because of the lack of distortion. As a result you may not realize just how loud you are playing them!